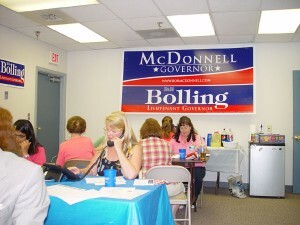 Maureen McDonnell Visits Va Victory To Make Calls For Bob! | Virginia Right! 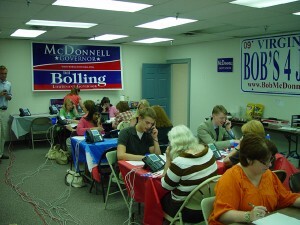 Maureen McDonnell Visits Va Victory To Make Calls For Bob! 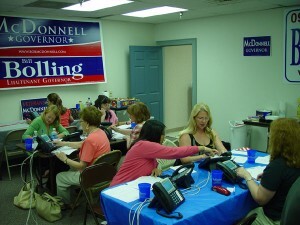 for governor, she volunteered for phone duty in the last Presidential race. It did take a refresher course to learn the high tech phone system again, but in a couple of minutes, Maureen was up to speed and talking to voters. 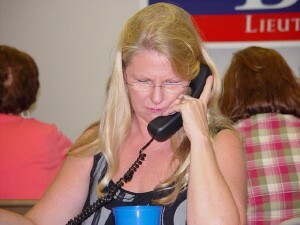 Many of those she called requested bumper stickers, yard signs, and some offered to volunteer. She admitted to having a bit of an advantage over the other volunteers. When she identifies herself, people are surprised and honored that the candidate’s wife takes time from her busy schedule to call them. The look on Maureen’s face showed that it was a true joy for her to talk about the next Governor of Virginia to those she called. Bob and Maureen have truly done a remarkable job in raising five wonderful children who are all individuals, but have a common, shared sense of family. 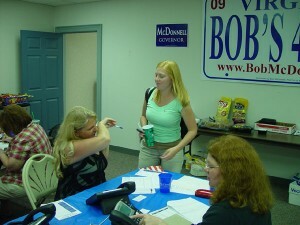 Maureen said that while she enjoyed hearing Bob’s political speeches, he really shines when he is speaking at non political events, such as schools. When he is in a situation where he can put politics aside and speak from his heart is where you get the true feeling of his convictions. He speaks to the students just like he does his own kids. Giving them valuable insights into how to conduct themselves and what things are really important. I made a mental note to try to attend a non political speech in the near future. Maureen really is the Mom next door, the busy lady keeping everyone’s schedules running like clockwork. And she has a wonderful sense of humor. 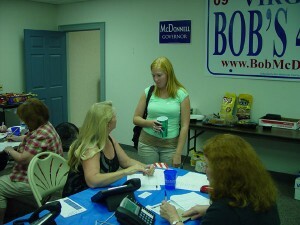 She said the twins were registered to vote now, and that gives them 7 family votes for Bob. She proudly added that that is one more than her husband’s opponent. 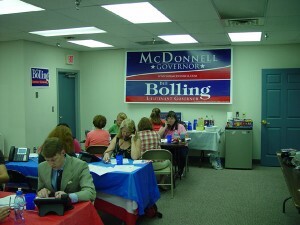 Maureen and Kailin rushed off for 2 more events they wanted to attend, but not without a few words of thanks to the volunteers that are helping to put Bob McDonnell over the top this November. ← NOW IS THE TIME! STOP OBAMACARE IN THIS WAY! THOSE IN BLUE DOG DISTRICTS MUST ACT! So happy about all our recent victories in VA….the GOP is back stronger then ever and just in time!! God less you and everone who helped!